It has taken a long, hot, dry spell in my Yorkshire garden for me to catch on to the blinking obvious. If I decide to have a lot on new pot plants to house good specimens or prize plants (which I did) I should know better (which I didn’t). It should have been obvious that the weather would win. With plants dying around me I decided to learn more about roots and water uptake. About time some my say! I never applied my brain but it seems obvious now that plants take up most of their water needs from the tips of their roots. More plants have died in this drought than I would like. e.g. Annuals run to seed quicker, new plants do not have established root systems, heat increases water loss, trees take up more than their share of ground moisture etc. Leaves wilted since water and nutrients weren’t being transported up. Even if the plant survives the older leaves begin to fall off prematurely. Roots are important to a plant because they are its primary source of water and food and are also crucial for the uptake of oxygen. 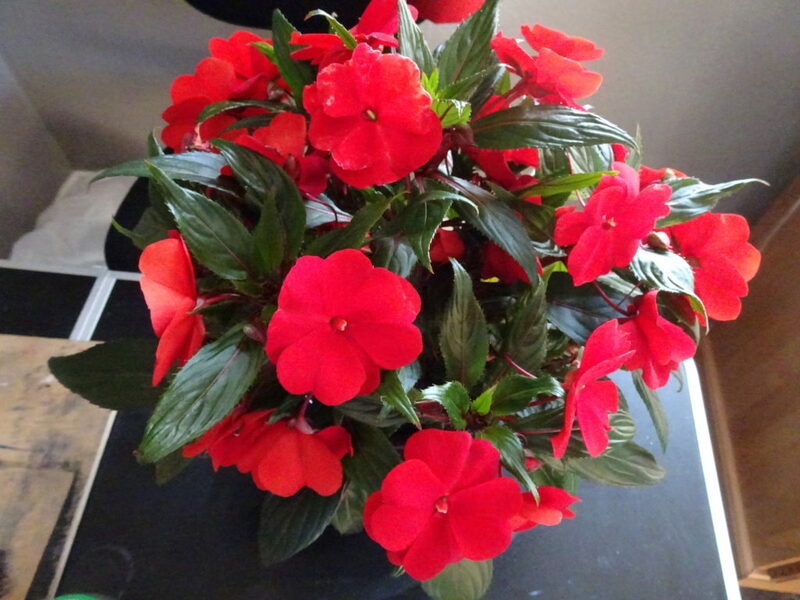 Over-watering, in simple terms, drowns your plant. Soil that is constantly wet won’t have enough air pockets and the roots can’t breathe. Roots that can’t breathe are stressed roots. Plant roots meander through soil absorbing water and nutrients. Both are needed to help the plant grow below and above ground. All the action below ground happens at the very tip of each root: cell division, cell growth, absorption of stuff from the soil. Having shown the after picture here is one before the swimming attempt. 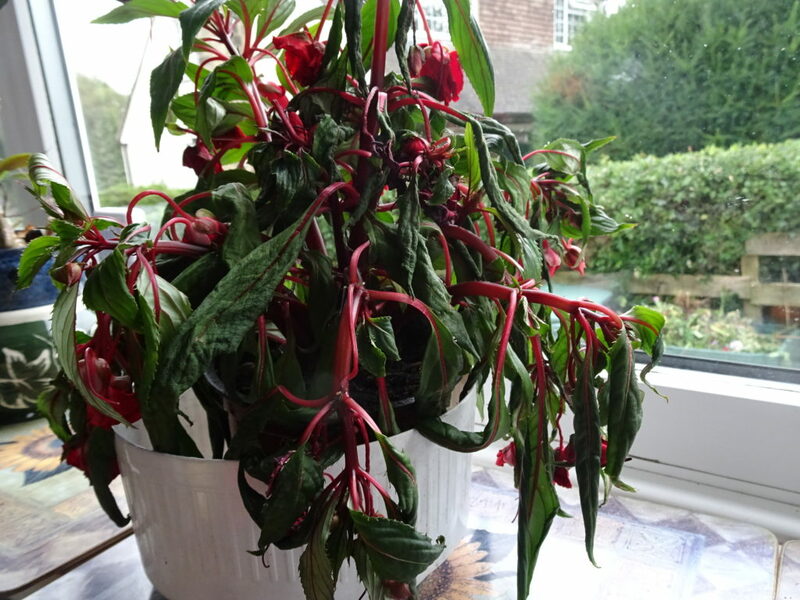 New Guinea impatiens do need regular watering or they wilt but I took it to extremes.